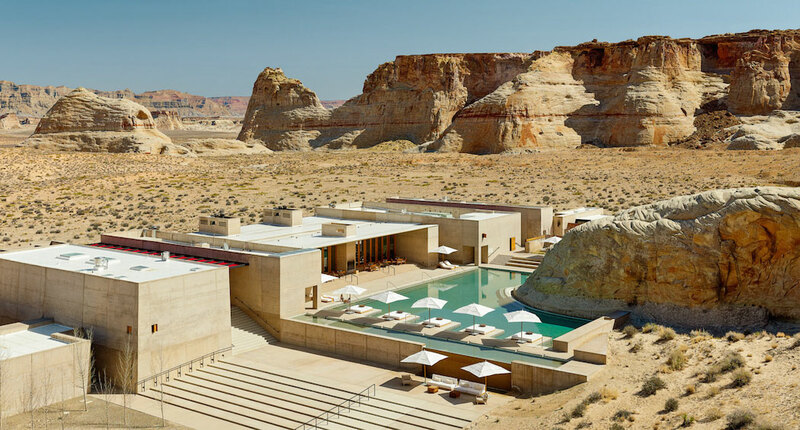 Amangiri Resort & Spa In The High Desert Of Utah. 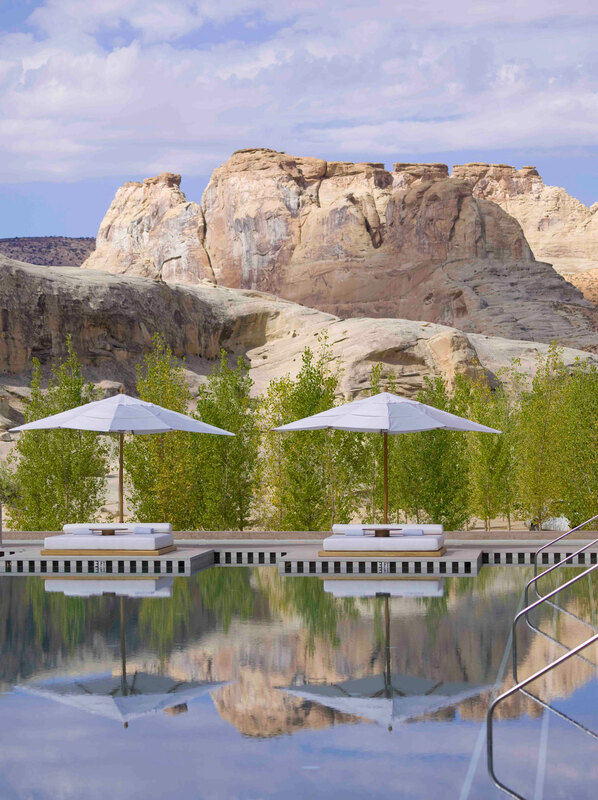 When it comes to 20th century luxury travel, things don’t get more special than this – an oasis in the middle of the ancient splendour of the Utah desert, where nothing has been left to chance. 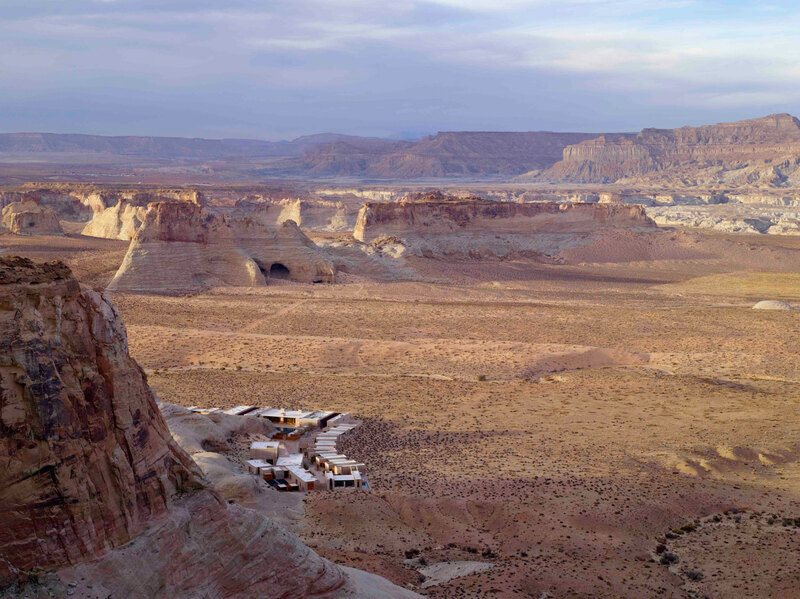 is a remote hideaway tucked within the luminous canyons of the American Southwest, boasting spectacular premises designed by three well-known architects – , and . 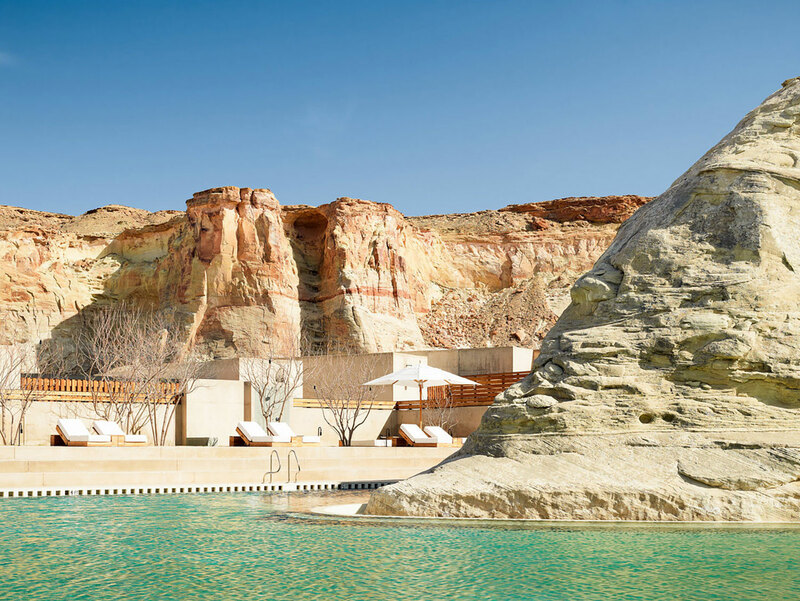 Located in a protected valley with sweeping views across spectacular desert rocks, the resort offers both adrenaline-fuelled adventure and a peaceful retreat. 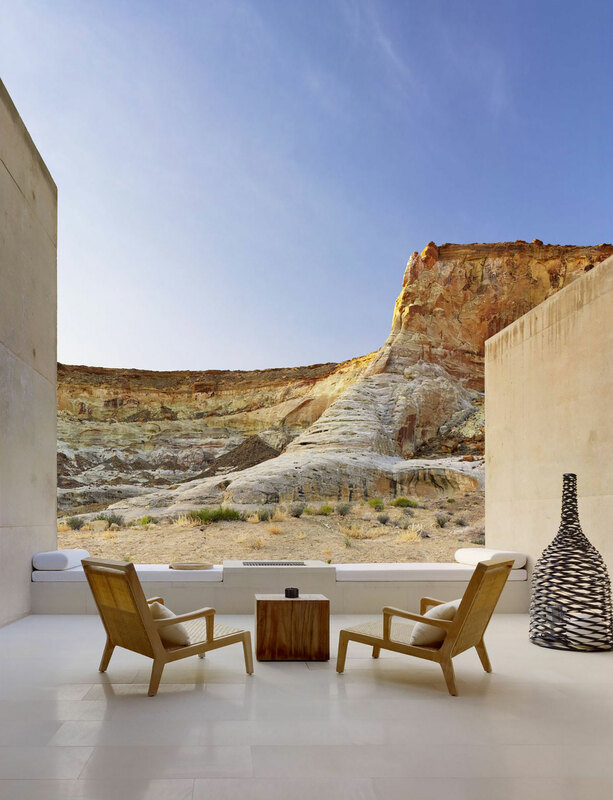 Amangiri, meaning “peaceful mountain,” forms one of Aman Resorts – Singapore-based company that develops small, exclusive resorts in extraordinary and often out-of-the-way places. 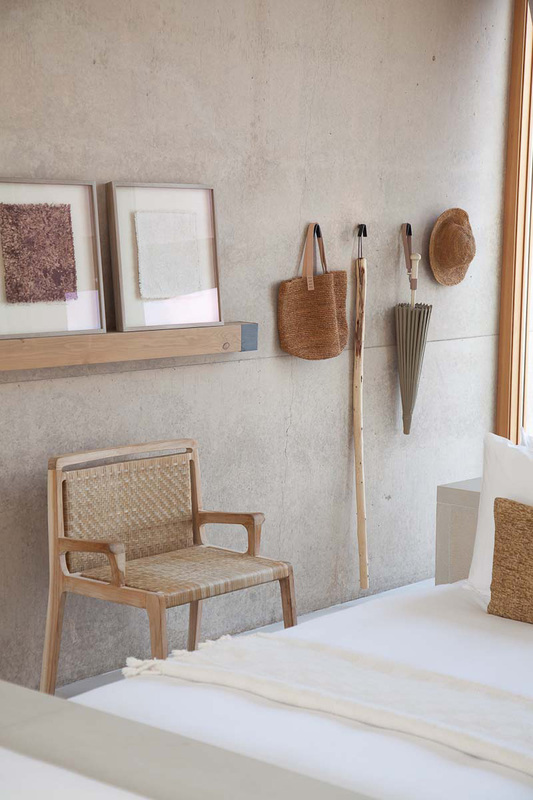 Opened in 2009, this luxury hotel frames the surrounding dunes, plateaus and mountain ridges, with it’s Suites and the Home embracing the area’s raw aesthetic. Within the interiors, the large desert-view focuses on restoring hózhó – meaning beauty, harmony, balance and health in Navajo. 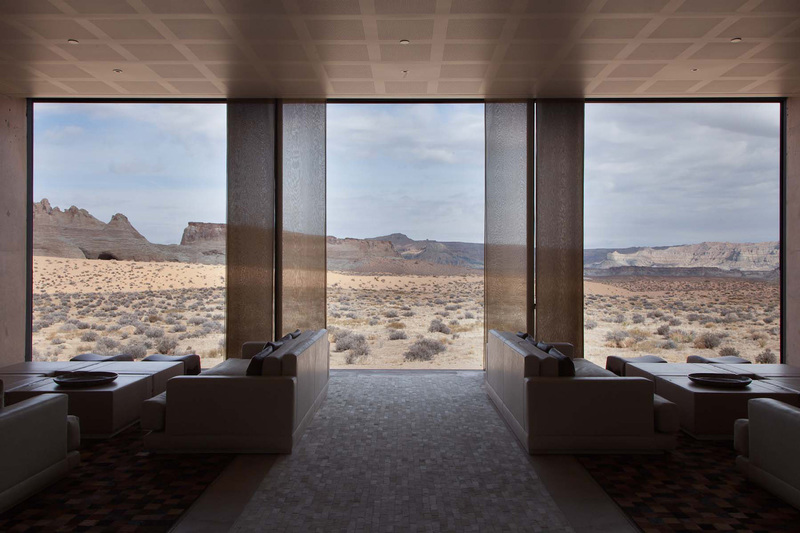 Spacious and with clean lines and natural materials, Amangiri reflects the luminous qualities of the surrounding desert. 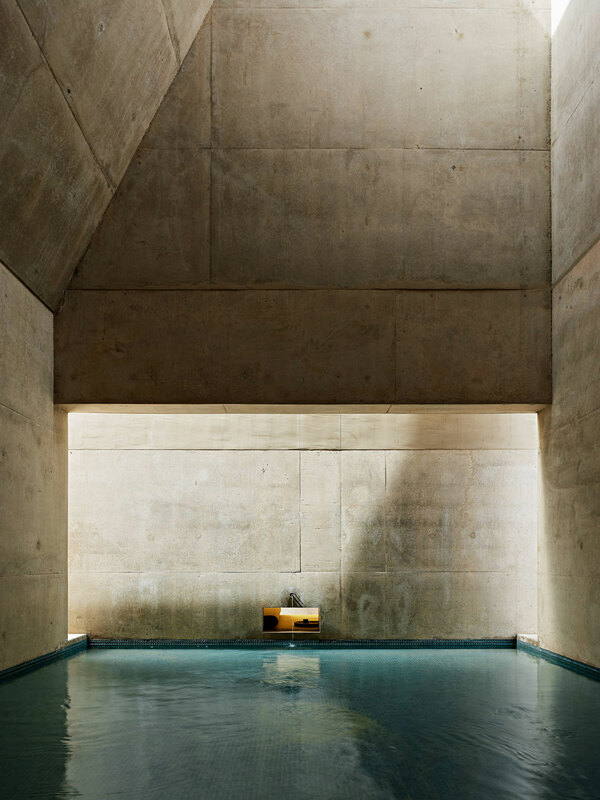 Design features include white stone floors, concrete walls, natural timbers and fittings in blackened steel. 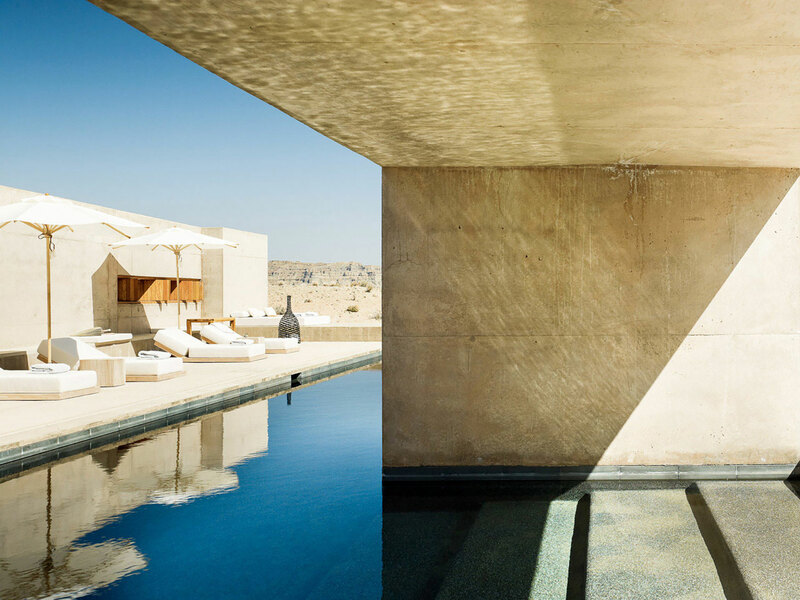 Each Suite has an outdoor lounge and fireplace with expansive desert views, while some feature a private pool or roof terrace. Dovetailing with the stark desert scenery, mirrors the serenity of the region in it’s aesthetic, layouts and designs. The resort is located at the heart of the Grand Circle and within easy reach of some of the USA’s most magnificent protected areas, including the Grand Canyon, Bryce Canyon, Zion National Park and Monument Valley. 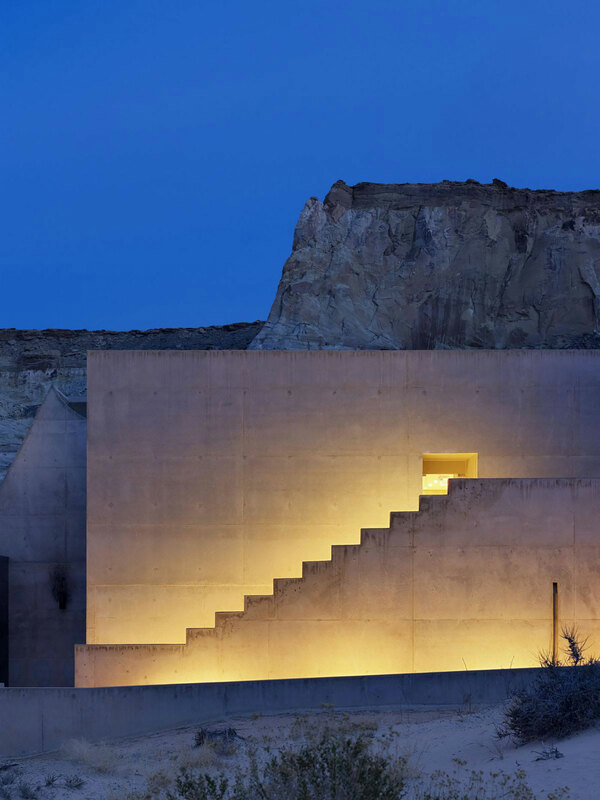 Amangiri’s 243 hectares (600 acres) and beyond reveal stark beauty as well as rich cultural heritage. 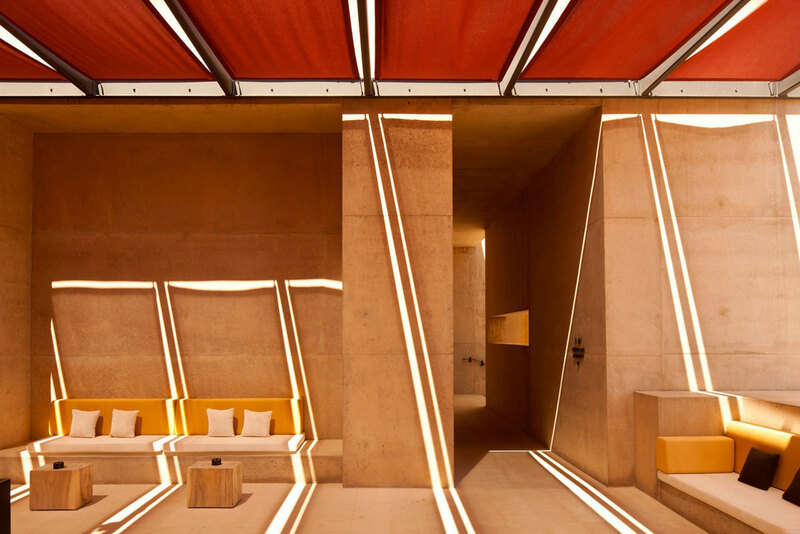 The juxtaposition between the pristine raw surfaces and organic red earth form a symbiotic relationship: the building frames the plateaus through varied apertures, while the landscape acts as a host for the sculptural structure. 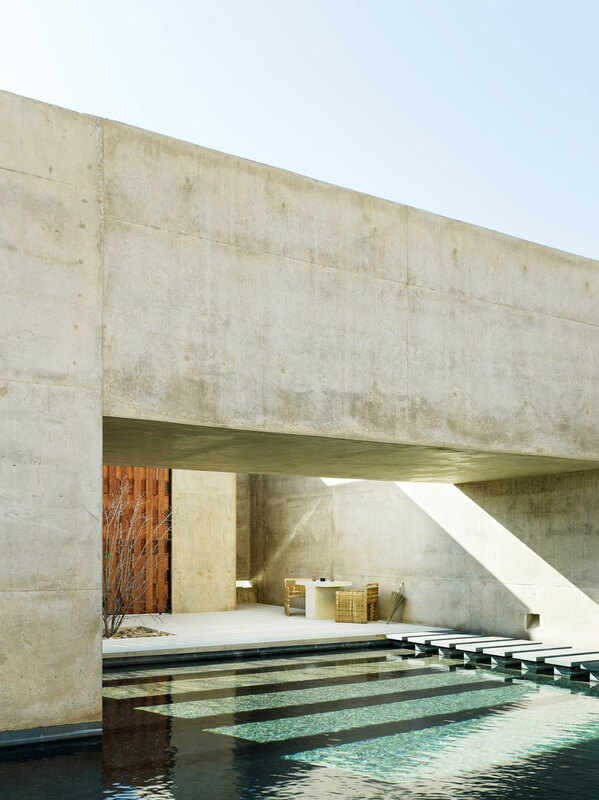 Raw materials such as timber, water, light and concrete (mixed with local aggregate to match the neutral hues of the desert), ground the architecture into the site, paying homage to the unique desert features. Mulberry & Prince Restaurant in Cape Town by Atelier Interiors.